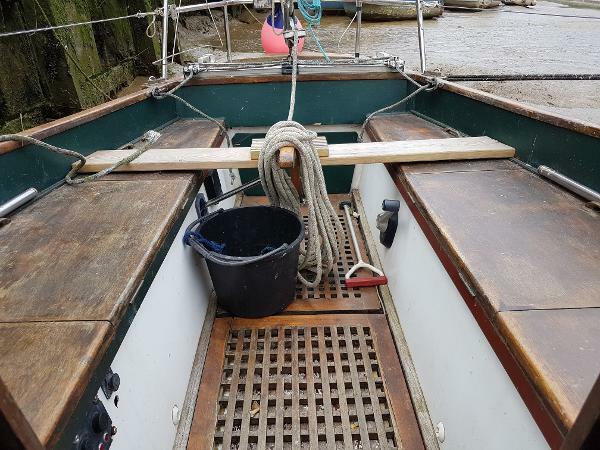 Specifications: Year: 1963 LOA: 29' Beam: 7' 6" Draft: 4' 2" Construction: GRP Hull / Keel: Long HIN: N/A Description: The Elizabethan 29 design is very much regarded as a modern classic, a larger and more elegant derivative of the Folkboat hull form. When first built these boats were competitive offshore racers, now they make really good and reasonably low cost all-weather cruisers. Engine(s) & Electrical: Yanmar 2GM, 18hp diesel (new in 1989). Maximum speed under power: 7kts. Last serviced: May 2018. Fuel capacity: 12 gallons. Twin batteries charged from the engine. 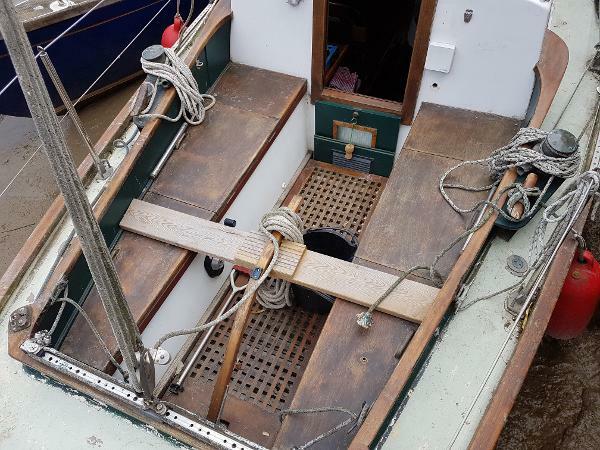 Accommodation & Below Deck: 4 berths, 2 cabins, cloth upholstery, chart table, folding saloon table, hanging locker, wet locker, gas heating, sea toilet, gas cooker, galley sink, pressurised cold water system. 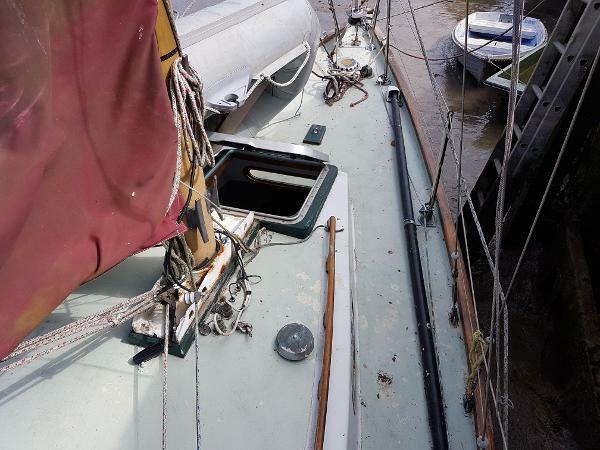 Deck & Canvas: Sloop rig, aluminium spars, headsail furling, slab mainsail reefing, aluminium spinnaker pole, mainsail (approx. 1998), genoa (approx. 1998), GRP non-slip deck, CQR anchor, anchor locker, stainless steel pushpit, stainless steel pulpit, cockpit table, warps, fenders, boarding ladder, stanchions, guardwires, boathook, dodgers, cockpit cushions, mainsail cover, sprayhood frame, cockpit cover. Navigation & Safety: Horizon chart plotter, Garmin 128 GPS, Raymarine St1000+ autopilot, ICOM M503 VHF, Clipper echosounder, compass, clock, barometer, navigation lights, foghorn, 2 fire extinguishers, first aid kit, bilge pump. Miscellaneous: Inflatable tender & Mercury 2.5hp, 2-stroke outboard. Faversham Creek town centre mooring available. Viewings are by appointment only. For an instant insurance quote call Euromarine Insurance Services on 01843 603345. Disclaimer: The particulars detailed herein are intended to give a fair description of the vessel, but their accuracy cannot be guaranteed. These particulars are supplied on the understanding that all negotiations shall be through Highway Marine Ltd who are acting as brokers for the vendor. The vendor is not selling in the course of a business unless otherwise stated. The prospective purchaser is strongly recommended to check the particulars, and where appropriate, at his own expense, to employ qualified independent agents to carry out a survey, and/or any mechanical and electrical checks.